At the inauguration of Şişli’s Social Equality Unit, Şişli Mayor Hayri İnönü noted that the Unit will focus on gender issues and Sema Yakar will serve as a volunteer advisor. 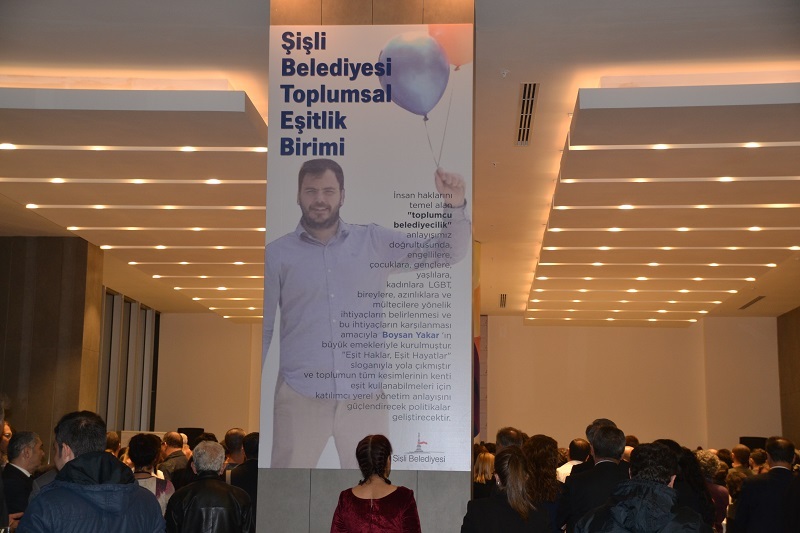 Şişli’s new Social Equality Unit was inaugurated at an event in Şişli’s City Hall. The night was hosted by Mayor Hayri İnönü and attended by representatives from LGBTI and human rights organizations, as well as the consuls of the United States, Israel, Brazil, and Canada. Hosted by actress Seyhan Arman, the event introduced the Unit set up largely by the efforts of Boysan Yakar, LGBTI activist and the advisor to the Mayor, who recently died in a traffic accident. Mayor Hayri İnönü also began his speech with words honoring Boysan: “Boysan was someone that everybody should have met. He inspired us all with his high level of energy. His absence is deeply felt.” İnönü conveyed his condolences once again to Yakar’s family, the LGBTI community, and to all human rights advocates. After tackling gender, the Unit will gradually expand its work area and encompass all of society. The Unit will receive guidance from a volunteer team headed by Sema Yakar, Boysan’s mother and a founder of LISTAG (Families of LGBTIs in Istanbul). Melda Onur, a CHP candidate in the general elections from Istanbul, remarked that Boysan’s absence was deeply felt: “We have to hold on to each other tightly and continue the struggle.” Onur said that the Unit should set an example for other municipalities. The night was concluded with a cocktail.